V’ni Dansi is a Vancouver-based traditional Métis and contemporary dance company dedicated to sharing the dances, stories and culture of the Métis. Led by Artistic Director Yvonne Chartrand, the company is dedicated to preservation and innovation. Dancers perform Métis dance under the name- the Louis Riel Métis Dancers, and contemporary works as V'ni Dansi. V’ni Dansi holds the distinction of being the only company in Canada to teach and perform both Métis and contemporary dance. Meaning “Come and Dance” in Michif, V’ni Dansi is thrilled to share the Métis people’s joyful culture with audiences of all nations. Our work manifests in three creative themes: traditional Métis jigging, contemporary Métis jigging, and Indigenous contemporary dance. The jigging component of our work is performed under the name - the Louis Riel Métis Dancers. Contemporary works are created for Yvonne Chartrand under the name V'ni Dansi. 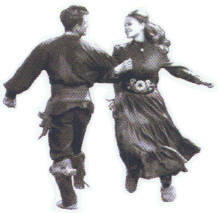 Traditional Métis jigging preserves the historical dances of generations ago; such dances include: The Red River Jig (up to 100 steps), Drops of Brandy, Reel of Eight, Duck Dance, Rabbit Dance, The Métis Square Dance and Reels with calls (usually 8 people). Contemporary Métis jigging modernizes traditional forms yet still pays homage to the cultural roots of each dance. Inspiration for Indigenous contemporary dance works is sourced from the ancestral memory of the body and the stories, history and culture of the Métis people. The only company in Canada to teach and perform traditional Métis and contemporary dance.